Help make your wedding day memorable with these Wedding Favor Card Tags! 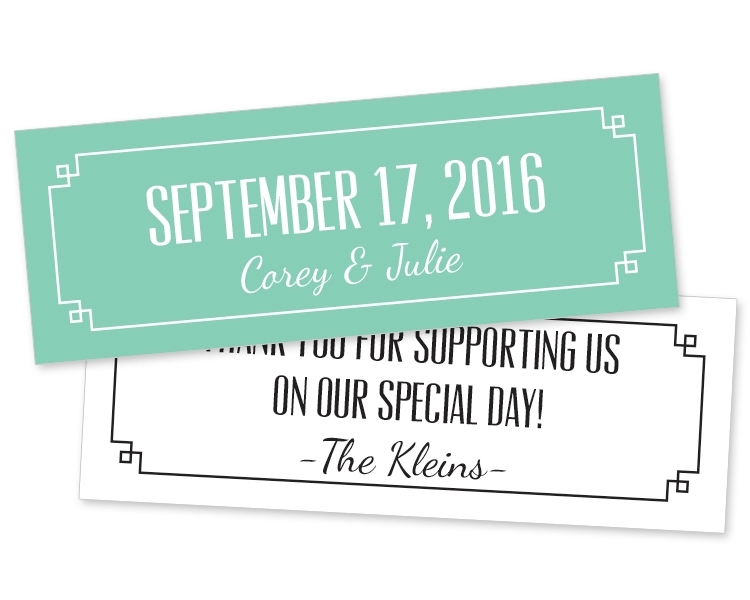 Perfect to hand out to your guests as a thank you for sharing your special day or to use as tags on any wedding favor. Printed full color on both sides and UV coated on one. Cards are printed on 14 point paper and UV-coated on one side. Price include printing in full-color (four color process) on one on one or both sides, UV-coating on one side only. Second side UV-coating is available at an additional charge. Exact color matches, metallic or fluorescent colors cannot be printed in full-color (four color process).